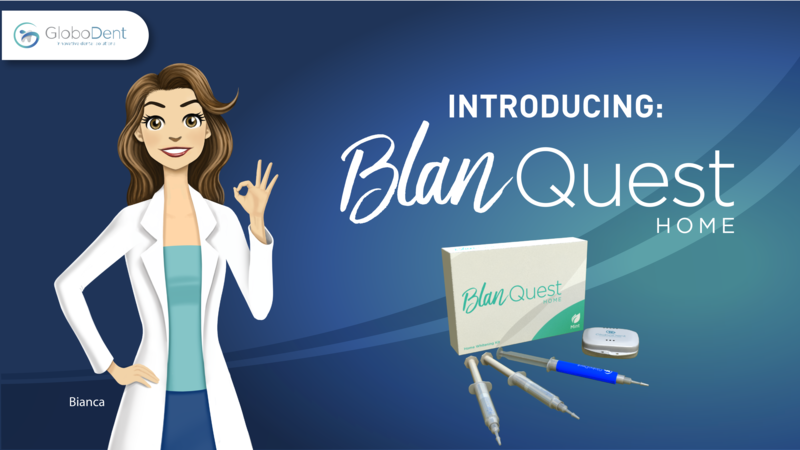 The New BlanQuest Home Whitening Kit is a perfect option for patients looking for a safe, effective, and simple to use at home whitening procedure. It is a professional alternative that can deliver powerful results while also perfect for follow-up and maintenance purposes in an inexpensive manner. The BlanQuest Home features a gentle 6% H2O2 formula for noticeable whiter smiles. · Only 30 minutes a day. · Includes GloboDent Remineralizing Gel, proven to strengthen and remineralize dental enamel while decreasing risks of tooth sensitivity, for a comfortable procedure.